Mayor Bill de Blasio attended the annual memorial service marking the November 12, 2001 crash of American Airlines Flight #587. 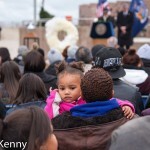 For the fourth time as mayor de Blasio joined attendees at the service, held at the memorial constructed just off the beach on Rockaway’s Beach 116th Street. The flight was headed from JFK to the Dominican Republic and the majority of those onboard were Dominican Americans and Dominican nationals. The crash also killed five people on the ground in Rockaway. 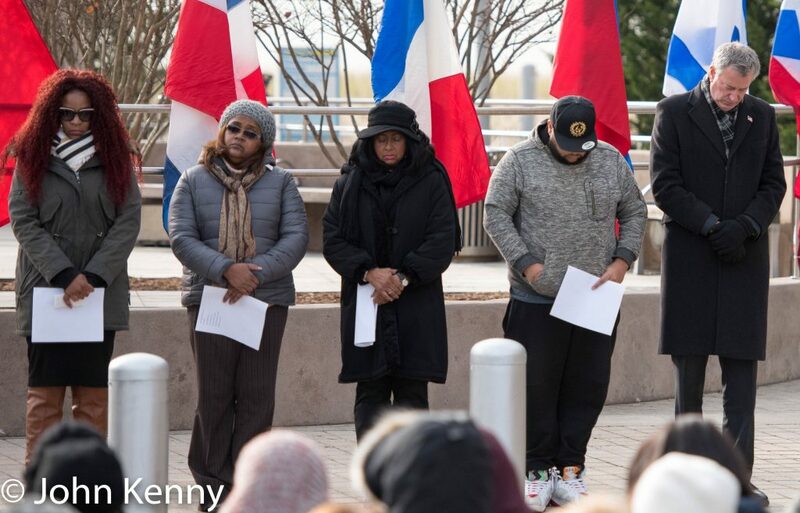 The annual memorial service marking the 2001 crash of American Airlines Flight #587 was held Saturday morning. 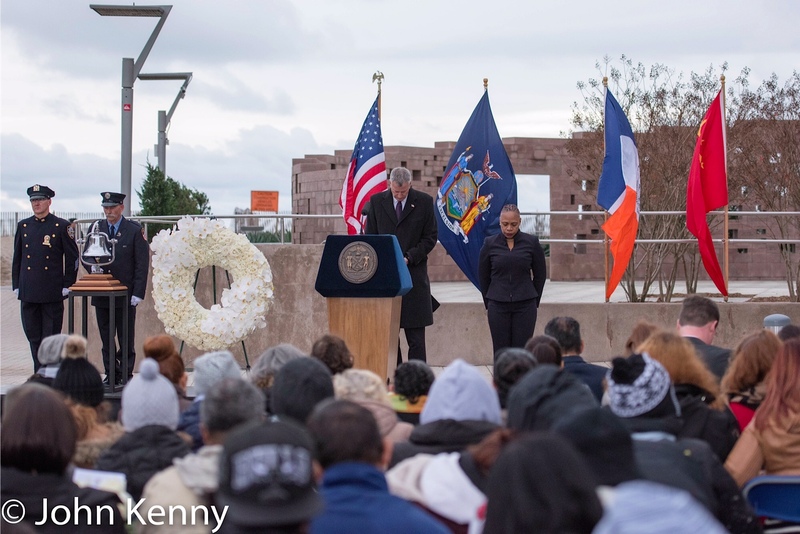 Mayor Bill de Blasio joined attendees at the service, held at the memorial constructed just off the beach on Rockaway’s Beach 116th Street. The flight was headed from JFK to the Dominican Republic and the majority of those onboard were Dominican Americans and Dominican nationals. 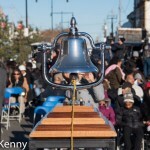 The crash also killed five people on the ground in Rockaway. 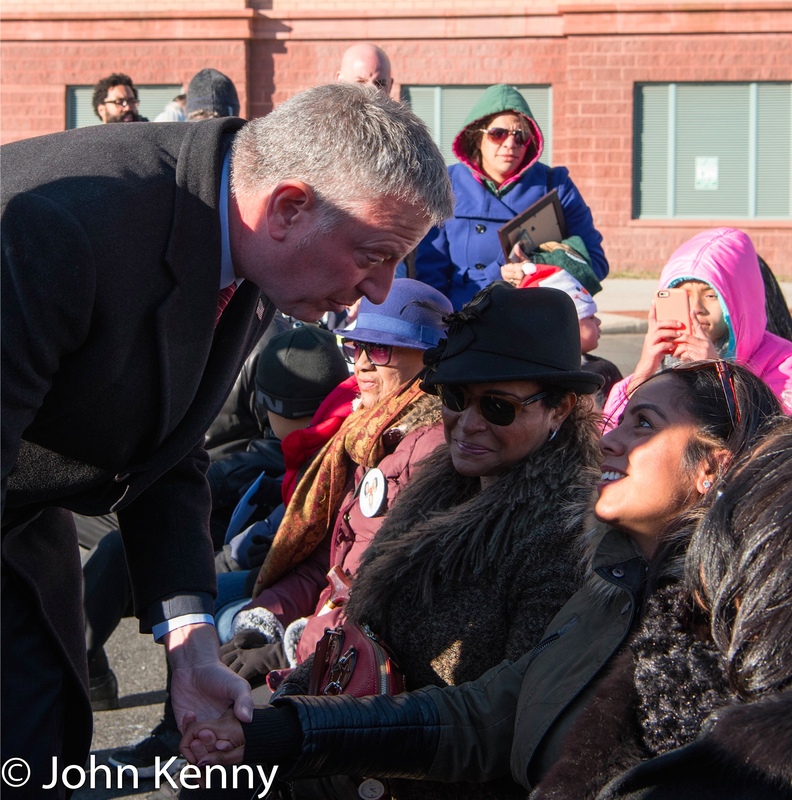 de Blasio was infamously late to the 2014 memorial service, his first as mayor. He missed the moment of silence, provoking a firestorm of criticism over his then-frequent tardiness to public events. 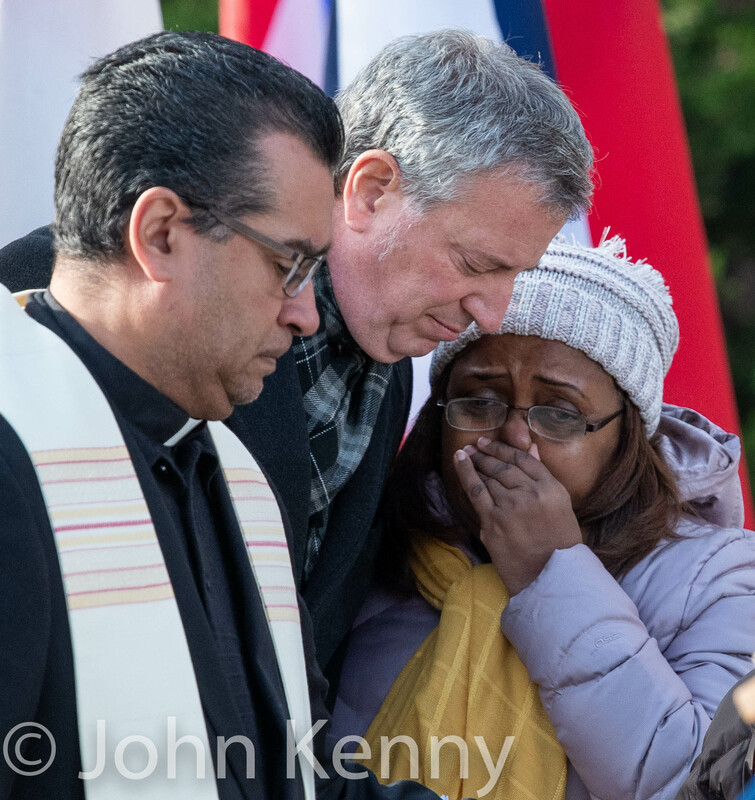 This year, as in 2015, de Blasio arrived early and worked his way through the audience shaking hands, hugging and talking with attendees before the service began. 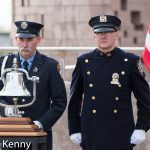 Mayor de Blasio today attended his second Flight 587 memorial service as mayor, arriving early and avoiding a repeat of his 2014 public relations disaster. 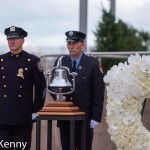 The memorial service is held annually in Rockaway on the date of the 2001 crash of American Airlines flight #587, with a moment of silence timed to the exact moment of the crash. 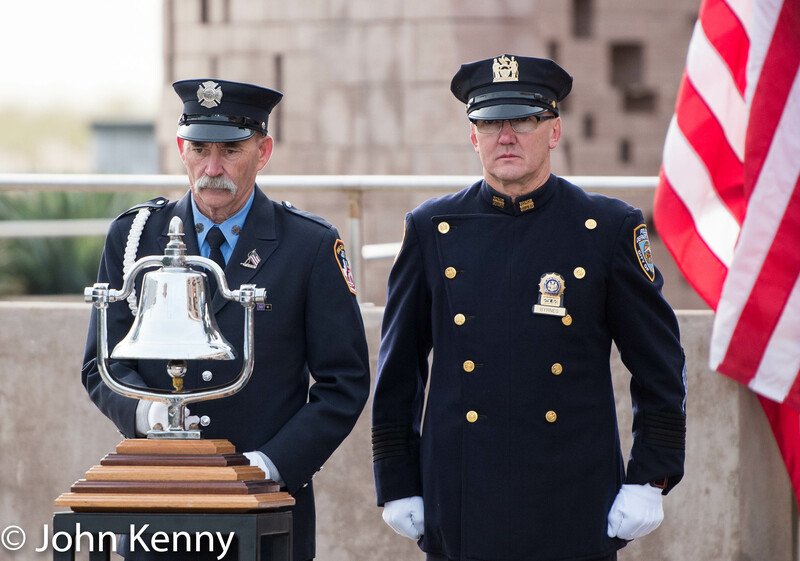 Last year de Blasio infamously arrived after the moment of silence, bringing simmering discontent with his then-frequent lateness to a boil. Today de Blasio arrived early, speaking with many mourners before the 9:05 ceremony began and visiting the granite memorial wall afterwards. Council Speaker Melissa Mark-Viverito, NYS Senator Adriano Espaillat and NYS Assembly Member Guillermo Linares also attended. 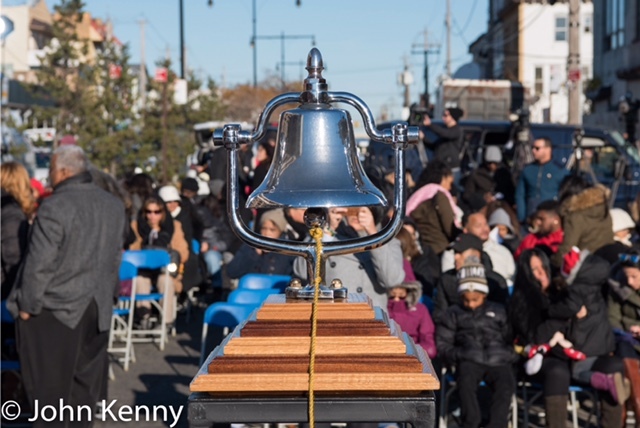 A memorial service this morning in Rockaway marked the 13th anniversary of the crash of American Airlines Flight #587. 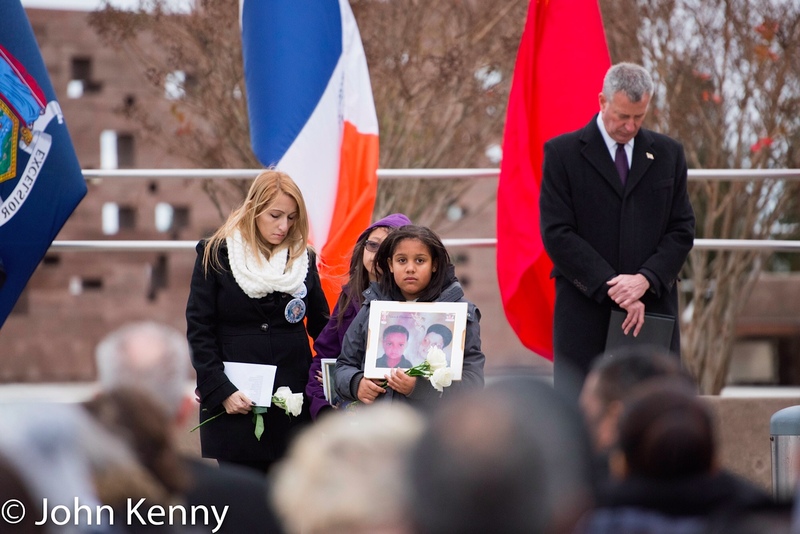 Here’s our full report on the memorial service, de Blasio’s late arrival and his explanation.